When walking in the woods only a month after moving here, I smelled mint. Yes, spearmint grows wild in our woods. Wanting to make my life a little simpler though, I dug up a piece of the spearmint and planted it in a flower bed. Now I can easily have a glass of spearmint iced tea in the middle of summer whenever I’m in the mood. We also have a nice patch of lemon balm, which combines nicely with the spearmint to make a refreshing iced tea. 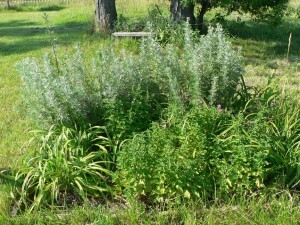 Annual herbs such as parsley, basil, rosemary, thyme, round out the herb patch. 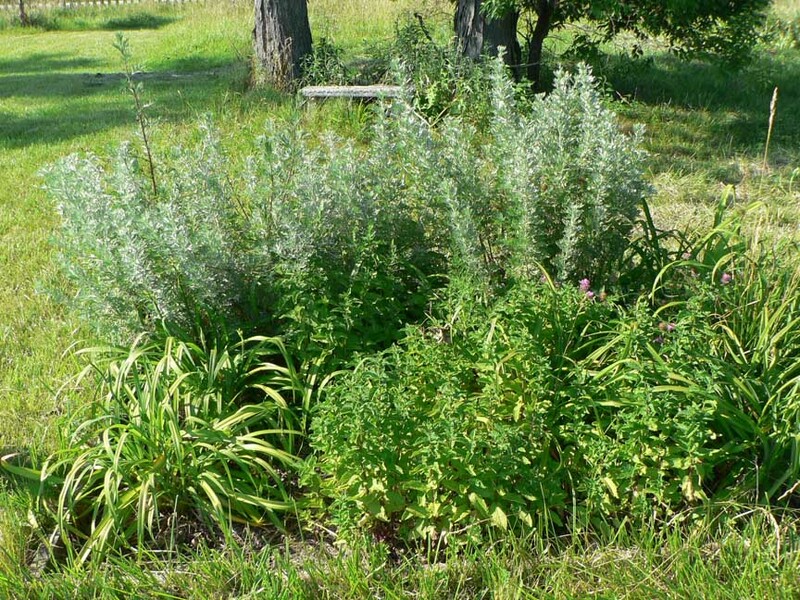 We also have a little St. John’s wort, feverfew, and wormwood, which are medicinal herbs that we use with our goats.